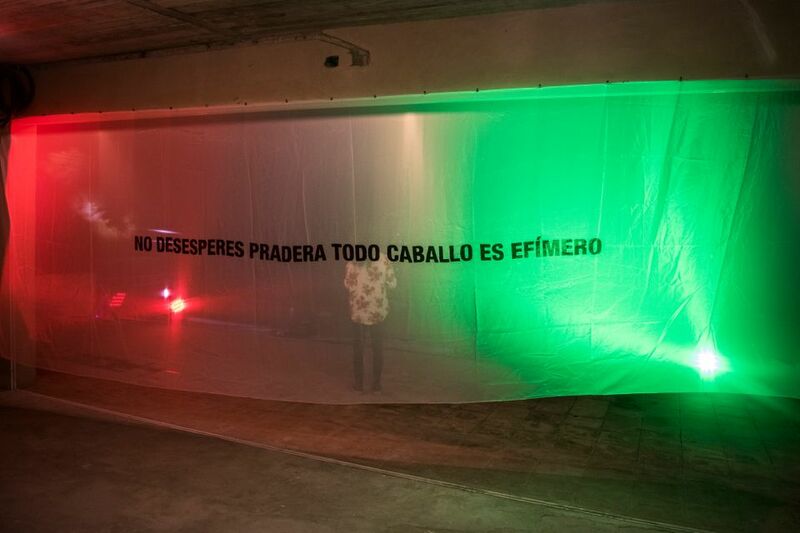 Reynier Leyva Novo and Aryam Rodriguez's No desesperes pradera… (Don’t despair meadow…), exhibited during the first edition of Havana Art Weekend in 2017. Photo by Jorge Calcagno, courtesy of Havana Art Weekend. The Havana Biennial opens on 12 April after its last edition was cancelled due to Hurricane Irma. In that time, the city’s gallery scene has weathered significant change since the show’s launch in 2015. 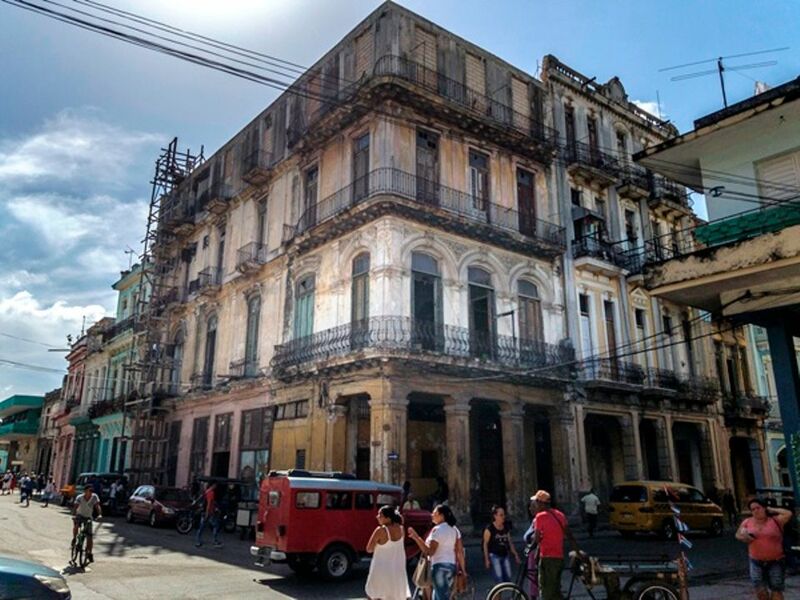 “A lot of new spaces popped up with President Obama’s announcement [to normalise US and Cuba relations in 2014],” Lida Lilian Sigas Nieto, the director of Havana’s El Apartamento gallery, says. Yet she adds many have already closed “because it’s a difficult business” in a country still averse to private enterprise. Yet visibility comes with challenges: last month, artists and civil rights groups campaigned for the repeal of the controversial Cuban law Decree 349, which they say further censors artistic dissent. Indeed, when Fidel Castro took power in 1959, contemporary art and its production came under the authority of the state. Galleries were considered government property and they were subject to heavy censorship, which drove many dealers underground. Private galleries began to re-emerge in 2011 under Raúl Castro’s reform, though most still operate out of artists’ studios or dealers’ homes. Like many studio-workshops, Arsenal is housed inside a restored historic building. Courtesy of Arsenal. Coinciding with the biennial, many of these studio-workshops will show work that speaks to these political tensions. Sachie Hernandez Machin, the director of Arsenal, a gallery housed inside a restored historic building, has invited artists including Nuria Wells, Orestes Hernández and Levi Orta to “imagine the possible in the immediate future, and draw on their ideas around power, gender, social and political forces”. El Apartamento, will show a collective exhibition of its artists as well, including Diana Fonseca, Flavio Garciandía and Reynier Leyva Novo. Nearby, Estudio Figueroa-Vives will reframe the role of the curiosity cabinet in art history, with a selection of works by Alexandre Arrechea, Fidel Garcia and Fernando Rodriguez. Carlos Garaicoa’s studio, located in an airy 1960s Modernist building that also functions as an international artist exchange residency known as Artista x Artista, will also have works by Garaicoa on view during the biennial.